We are going to run another conference round-table voice/video/text chat using Skype. See the World Clock to make sure you have the right time. The timing of these two sessions have been chosen to hopefully allow as many people to join in compared to previous round-tables. Do not worry if you aren't available at the start of one of our sessions each one lasts 2-3 hours so pop up when you are available and say hello. Hope to be chatting with you on Sunday 6 March 2016. Thank you to Emma for sharing with us her favourite organiser. I've had this for about two months now after lusting after it what left like a lifetime. Where to start? I love the feel of the leather, it's smooth and soft. Words cannot explain just how it feels to run your hand over it. The smell, it smells of brand new leather it's just divine. 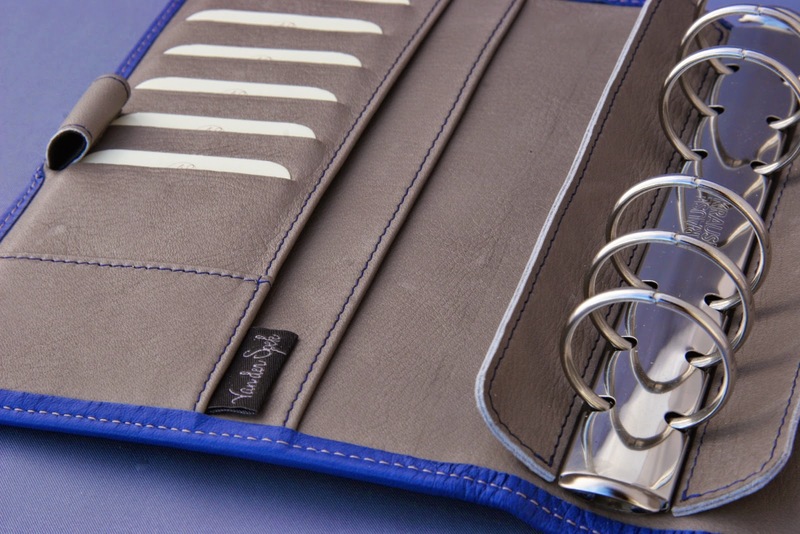 The leather is pretty flexible and 'floppy' I adore an organiser that isn't rigid and too supple. I use it multiple times a day as I have it set up for doodles, diary and notes. It's my life in a ring binder. The only thing I would change is the ring size. 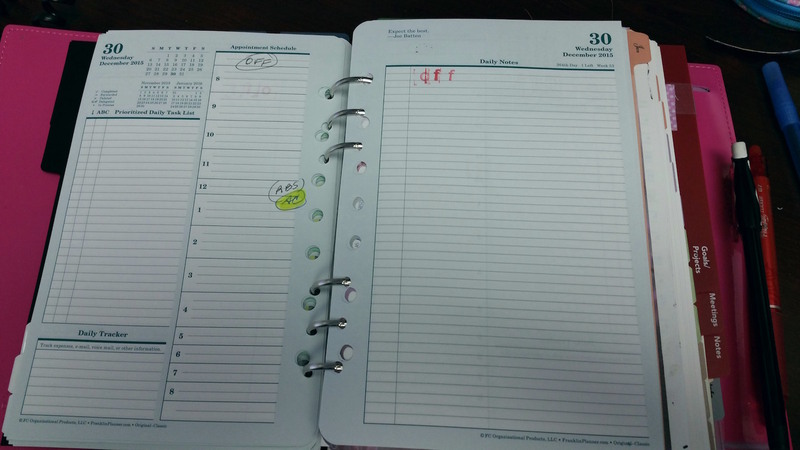 Prior to the Malden I had a Sandringham planner which is almost identical to the Malden with the exception of the larger ring size. It is only this I feel lets this particular Filofax down. We start this week with some offers from a few on-line stores that might be of interest to you. Recently I tried (again) to switch from my massive Filofax to a slim and portable bound-book planner. This was precipitated by two things: a crazy-planner moment at the dentist when I hauled out my A5 Filofax with 30 mm rings to schedule an appointment; and my husband asking me why I feel like I "need to plan so much." I explained to him that he has admin people at work who take care of all the little details for him so he is free to think of the big picture. I do the same at home. I asked him when our daughter has rehearsals for her upcoming play, when everyone is next due for dentist and doctor appointments, when the dog is due for vaccines, which day the trash bin goes out and which day is recycling. Of course he doesn't know any of that, because I take care of those details. Which I don't mind doing at all, but don't diss my system! In my binder I have personal and work stuff. Last year I used a separate book for work. But I work from home, and it's more convenient 1) to have one book to reach for throughout the day and 2) to have work stuff with me so I can work on it while I'm waiting for my daughter at her play rehearsals, for example. So I do have a lot in my binder. But I got to thinking, maybe I could consolidate. In my Filofax I have two sets of monthly pages, for personal and work, in addition to weekly pages. I could put all that info into a weeks-only spiral bound planner. I could put all my notes in my notebook instead of in tabbed sections. This could work! 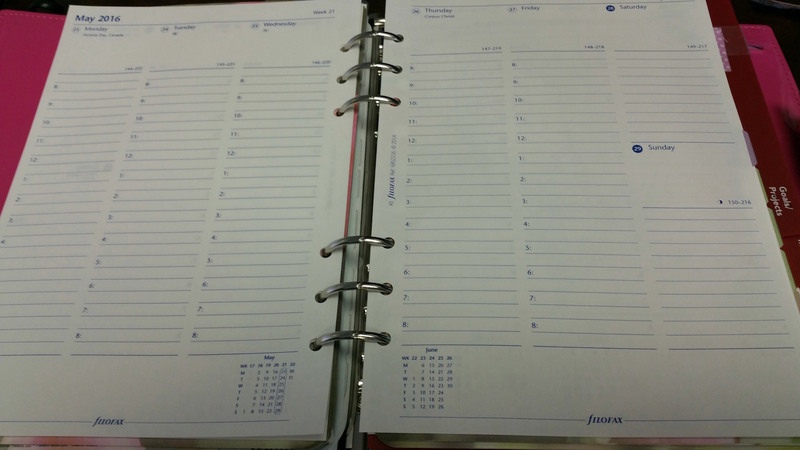 The spiral-bound weekly planner lasted two days. 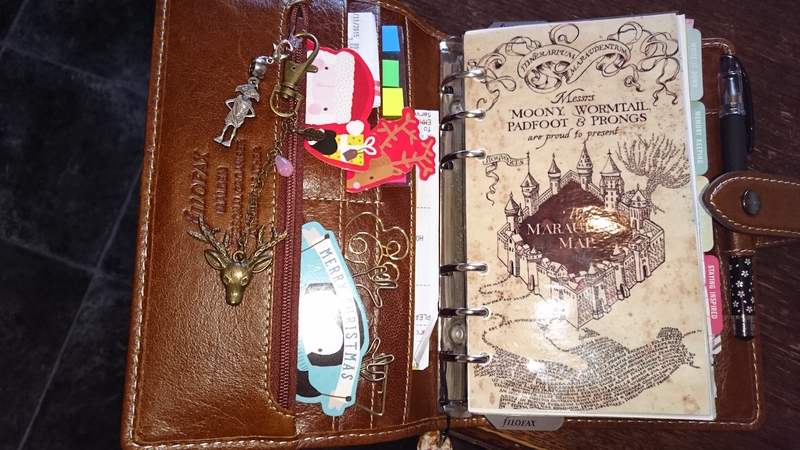 I have to admit, it was very nice to have my planner in my bag with me all the time. (Usually I only bring my big Filofax with me if I know I will definitely need it). But there were some major things bothering me about the limitations of the bound book. I like to plan the school year in one book, and through the summer. Usually bound books are either school-year only, which means the summer is cut short, or 17-18 months which is hard to find in a format and size I like. What would I do about that? In my Filofax I rotate weekly pages so I always have a full 12 months ahead. 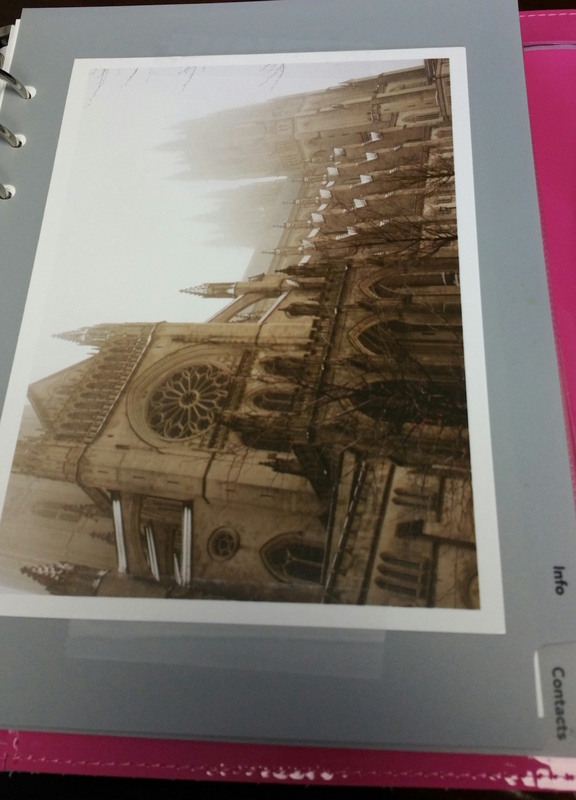 Also, in my binder my personal monthly pages are not printed back to back so I can insert pages between the months. This is where I keep month-specific info like birthday party planning, travel plans, recurring monthly events (on blue pages) and recurring expenses (on yellow pages). I explained my system in this post if you want to have a look. What I'm doing now is very similar, just upgraded to A5 size. And another thing: with my binder I can print my own pages and switch formats as much as I want, and still be able to archive all my pages together. In my archive binder from last year I have about 12 different weekly formats, because I printed and used whatever format worked best for me at that time. Yet I'm still able to archive them all together instead of having my year scattered among several bound planners. So I quickly went back to my Filofax and felt so much better. 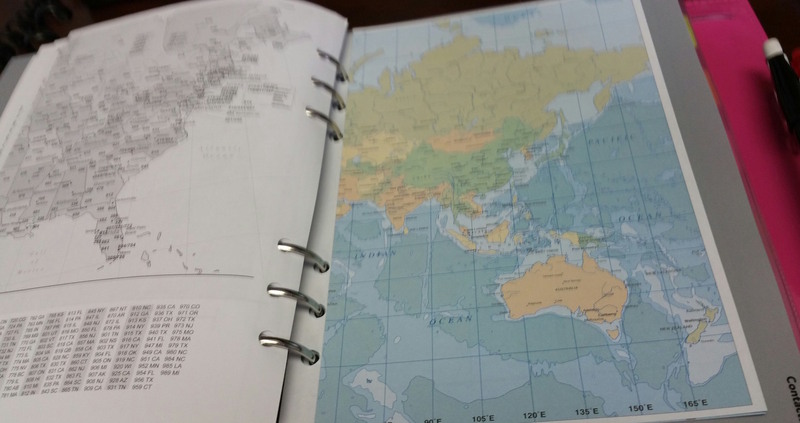 Yes I could manage with a bound planner, and yes the portability would be nice. But for forward planning and recurring events, I need my Filofax. When I use it, I feel like I'm ready for anything. 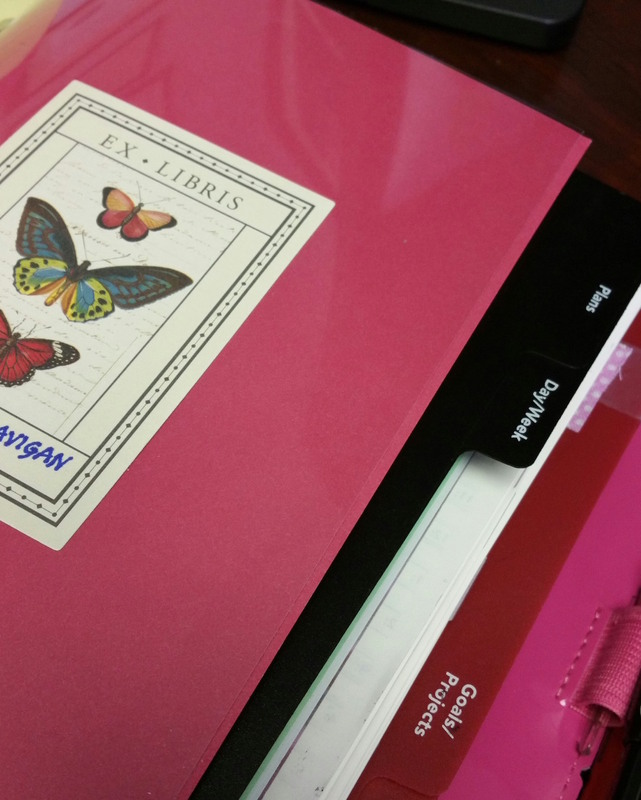 Why do you use a ring binder, as opposed to a bound-book planner? And as always on Fridays, feel free to ask and/ or discuss anything ring-binder related! 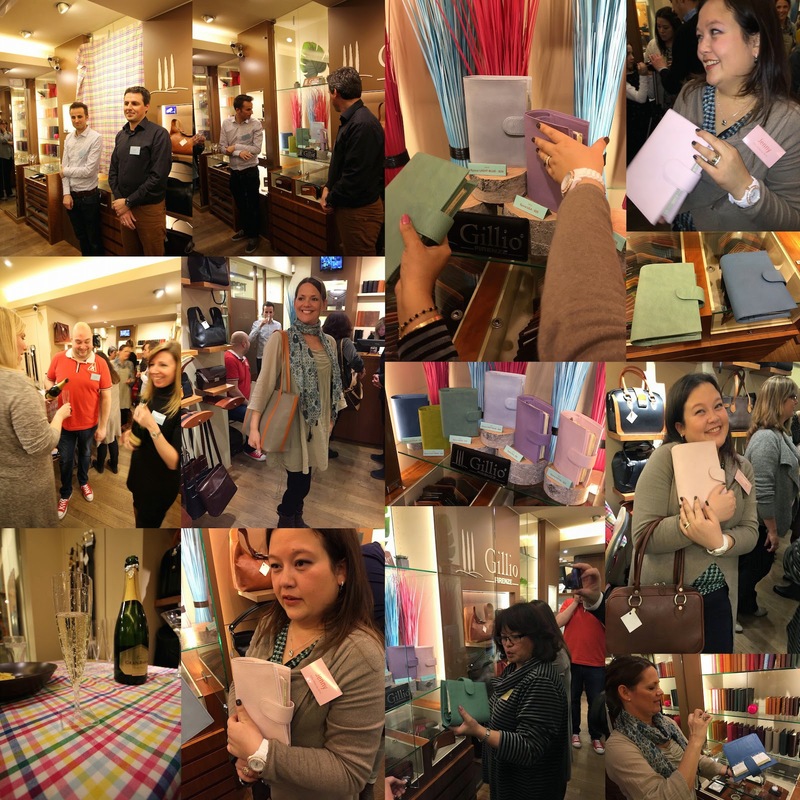 News from Filofax has been very scarce and hard to come by in this last year, your readers want to know what to expect this year. Your mission Steve, should you decide to accept it is to find out what you can about the new additions to the range this year. As always, should you or any of your I.M. Force be caught or killed, the Secretary will disavow any knowledge of your actions. This tape will self-destruct in five seconds. Good luck, Steve." So I had my instructions... I was on a mission to discover what I could about the new 2016 Filofax range, and what would be left of the previous models as well... would the Malden survive another year or not.....? These would be the questions I would be seeking to answer. We found that there would be some new 'Pocket Slim' models in the Lockwood and Nappa models, by Slim I'm guessing 15mm ring size, or may be 13mm. In the Pocket size there are some new lower price models that we already know about and have seen, but coming out later in the year a 'Classic Croc' range in three colours. In the Compact size the 'Classic Croc' model again and a new one called 'Heritage' it will be curious to see what that one looks like. The Personal size has the most changes to it. New colours for the Original, Lockwood models, as well as the Malden in Fuchsia and Kingfisher Blue. The Holborn gains a Nubuck Brown finish at a slightly higher price than the existing ones. In the A5 size we will see new colours for the Original, Lockwood, Malden, Holborn. And once again the Classic Croc and Heritage get mentioned. The Classic Croc is quite an expensive model, priced at a level that had been left vacant this last year. Nothing new in the A4 size, with just the Metropol and Finsbury mentioned and no Mini organisers listed at all now. The Clipbook A5 will be out in three new colours Navy, Orange and White. No pictures as yet... dangling from a zip wire through a sky light is difficult at my age, with a torch between my teeth and an organiser and a pen.. I'm sure you will understand!!! We would both like to thank everyone for the excellent feedback on Episode 1, take a listen if you haven't already. We are also looking in to getting the podcast on to iTunes, but it might take a little time. Naturally we would love to hear your feedback on the podcast and our show notes. 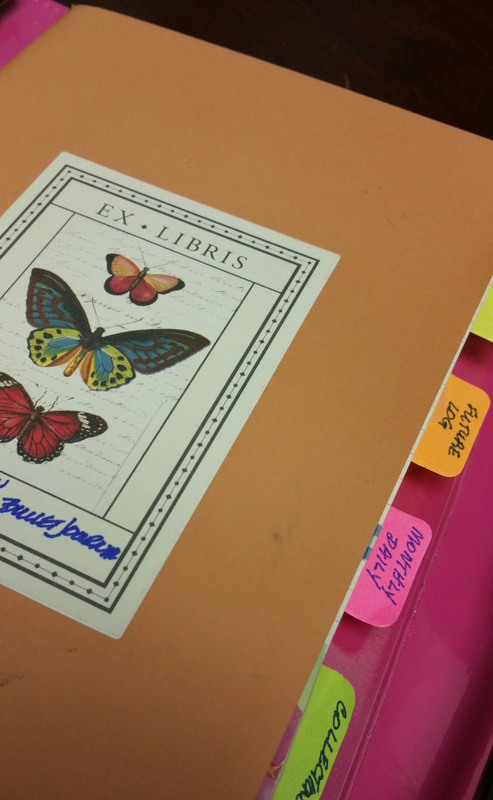 My name is Maudie, and I am a Book and Paper Conservator. Some of you may know me as Maudie from maudie.made and The Book Hut. As I have been creating and making colourful Filofax inserts since the 1990’s and selling them in my Etsy shop since 2009! A few years ago I set up The Book Hut, which is my Bookbinding and Conservation Studio in Worthing. Here I have a small public outlet for my handbound books, tools and stationery. Since then, I have slowly merged my maudie.made stationery into The Book Hut brand, which some of you will also know from my Etsy shop and website. Before I get going on the interview, I would like to take a moment to thank phILOFAXY and all their wonderful readers for all the huge amount of support I have received over the last seven years. 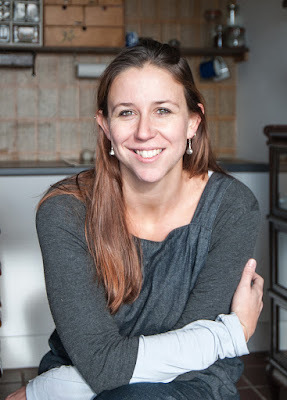 I have always been a small sole trader, and make everything I sell myself by hand, so the support is always immediately appreciated -THANK YOU! My very first was a mini Microfile from WHSmiths, I think I was about 13 or 14 and just allowed to go shopping on my own! I wanted a leather Filofax, and slightly bigger, but could only afford the mini Microfile and was very glad that I’d got that one in the end as I LOVED it and used it for years! I still have it in the cupboard! This was very much in the 90s when Filofax only made white paper for the mini sizes, which is why I started making my own colourful stationery to put inside - and my stationery was born! My favourite is still the mini - it just fits in your bag perfectly. So it would have to remain the Filofax Mini Finsbury Tan. Having used it for such a long time, it just seems to have moulded to my every need. Though very tatty now, I still love it! I think I have about four: Microfile, 2x Filofax and this Pocket Stag one I can’t remember the brand of! I used to have a Filofax Pocket Identity in black, but I really didn’t like the corporate look of it, so found another home for it. Well technically my Microfile Mini is the oldest one I personally have had. 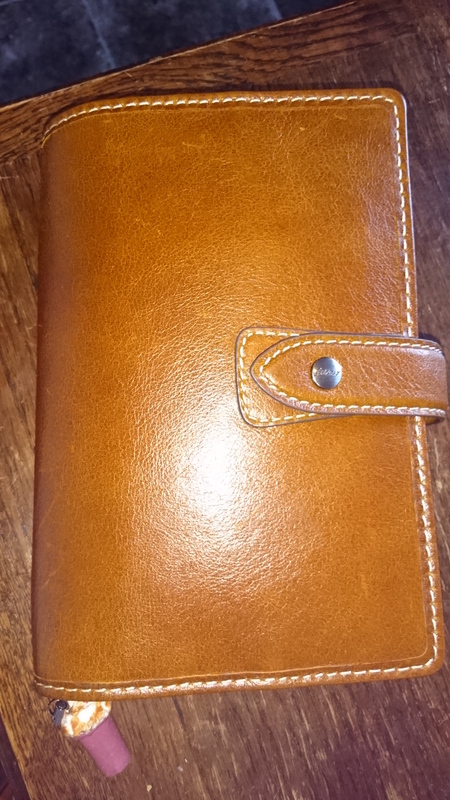 But my Filofax Personal Slimline and Pocket Stag one are both second hand, and had both seen a few years before they came to my ownership, so it could be one of them. The classic use - Diary, Notepaper, Birthdays, Addresses. Though I have found I don’t use the addresses so much any more as it is so much easier to keep them online. I don’t ever use more than one organiser at a time, as I don’t like to carry more than one in my bag, so it has to cover everything. The ones I don’t use tend to stay in storage for the next year when I decide which to use. I do also alternate to use a Moleskine every so often, as well as my own handbound books as well - I like a bit of change from time to time. Diary, Notepaper, Birthdays, Addresses. Though I am thinking of reducing the addresses. When I was using the Filofax Personal Slimline, I did also use a credit card holder, that was really handy for business cards and photos. The binder bit of course! Otherwise you could just use a book! Well this is exactly what I plan to do later in the year, design my own organisers, which will be available on my website (www.thebookhut.co.uk) and my Etsy shop (www.etsy.com/uk/shop/thebookhutter) - Sorry for the plug! The thing that has always annoyed me most about the Filofax, especially the mini ones that I like to use, is that they don’t stay open very easily. I like to have an open diary in my studio, and a small one as my studio is small, but they just ping shut because the casings are too strong - unless, like my Finsbury, you’ve had it for about ten years! So I intend to address this with the ones I make. Well my Filofax Mini Finsbury was from new, so that would have been the most expensive - but then it was a gift - the others I have got on the internet and charity shops, so never more than £15.00 probably. 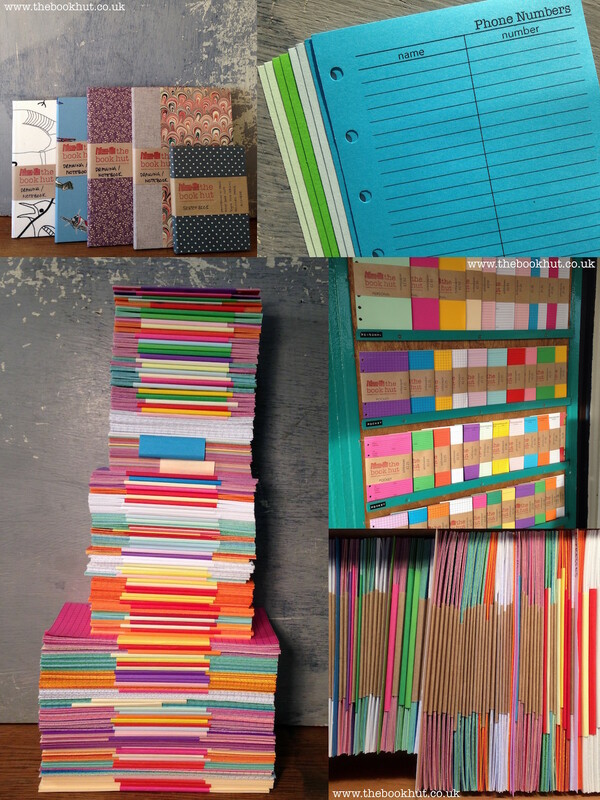 Not sure - Buy stationery from The Book Hut - its GREAT!! I’ve always loved the friendly welcoming atmosphere - that hasn’t changed throughout the years - no matter how big it gets, it always feels like a friendly face! The last X Files Film - in preparation for the new series this week - woohoo! The Thames & Hudson Manual of Hand Bookbinding - it is my bible and I am permanently reading it. 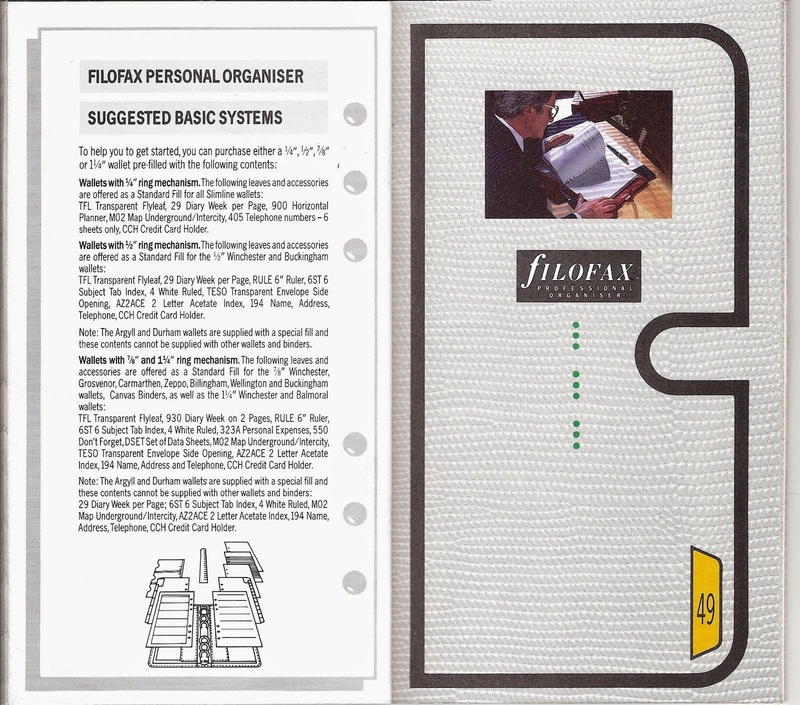 Thank you to Alan for writing this excellent post on the subject of 'Vintage Filofax' organisers. Several times I have tried to get people to set some definitive guidelines on what should be considered Vintage and what isn't. Some specific number of years, such as 20 or 25 – This embodies one dimension of the context of the word “vintage” – age – and it is dynamic, in that more models would start to be considered vintage, as time passes. Made in England – In 1991, Filofax started to move a lot of its production off-shore and “Made in England” was either dropped or replaced by “The British Filofax System” in models destined for the U.S. This would omit a number of high-quality, harder to find classics such as the Ascot, Connaught and Dorchester, all made in the U.S. Obviously, no one would want to include the recent “Original” model which Filofax trumpeted as returning to U.K. manufacturing. Ring protectors – One feature of some older, classic Filofax binders (Winchester, Carmarthen, Grosvenor) was the presence of ring protectors. However, many models produced in this era did not have them, such as the Argyle (2CLF), Buckingham (2MLF, 2HLF, etc. ), Durham (0CLF) and Gloucester (6CLF). Furthermore, quite a few models after the Winchester era have had them, such as the Eton. Ring protectors are an element of quality, but not an indicator of vintageness. 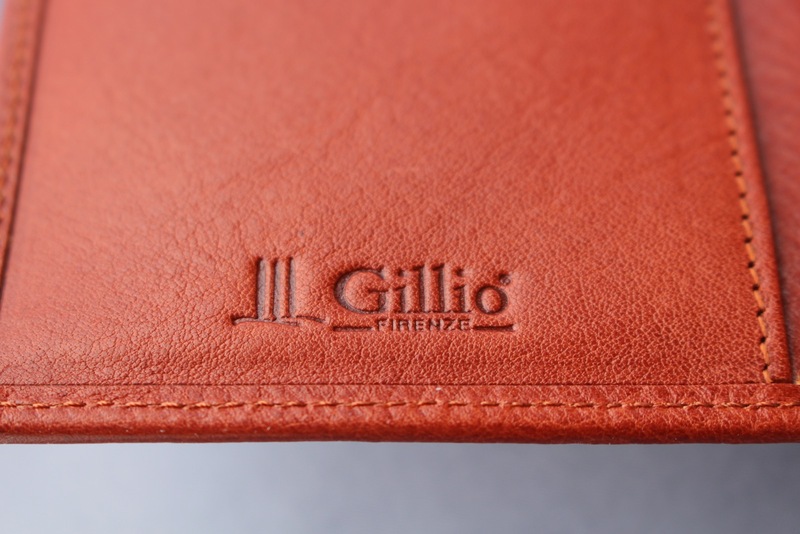 Name stamped or embossed – Another change that happened at some point in the early 1990s was the appearance of model names stamped or embossed, usually inside the cover. Names had existed for years, but during the Winchester era, only model codes were stamped or embossed. Early production of the Sherwood and Lincoln models did not have their names anywhere in the binders, but at some point, the names appeared. Filofax “f” logo on the spine – at some point during the Winchester era, the Filofax trademark “f” started to appear on the spine. Stamping on the ring cover-plate – Older Filofax have plain ring cover-plates. 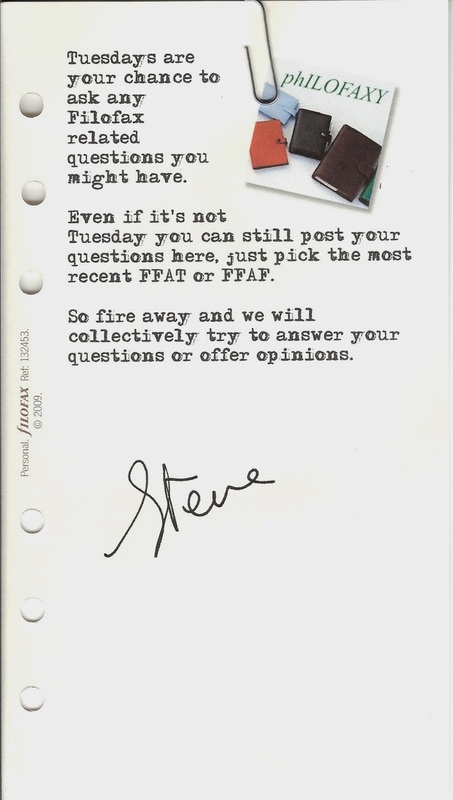 Some are stamped with “fILOFAX” and others, the “f” logo. Alphanumeric codes – At one point, all Filofax models had alphanumeric model codes, which I have referred to liberally so far. I have been referring to this time as the Winchester era. Winchesters continued to be made as late as 1993, after most production had been moved out of England, after cheaper models such as the Windsor and Lincoln had gone into production, after names had started to be embossed or stamped in the binders, and after the “f” logo had appeared on spines and cover-plates. Clearly, it is difficult, if not impossible, to delineate a specific point between vintage and non-vintage. In my view, a vintage Filofax needs at least two of four characteristics: 1. Quality, 2. Age, 3. Rarity or uniqueness, and 4. Historical Significance. I have leather-cloth storage binders (0L 7/8) bought relatively inexpensively in the Filofax shop in 1986, which I consider vintage, based on age and historical significance. The Grace Scurr Anniversary Duplex is vintage, likely on all four factors, although “age” – it was produced in 1996 – would depend on whether you chose 20 or 25 years as the criterion. I have no problem discussing Ascots, Connaughts, and Dorchesters, in the Vintage group as they are high quality items, somewhat rare, and some might argue, historically significant, despite their scandalously recent vintage, being from the second half of the 1990s. While they date back as far as 25 years and were initially made in England and did not have the model name stamped in them, I do not consider the Lincoln to be a vintage model as it was cheaply made, are not very scarce, and their only historical significance could be a new low for the quality of leather binders. How do you define vintage when it comes to Filofax? Thank you to Joan for sharing with us her favourite organiser. Currently, my favorite organizer is the Filofax A5 size. I have tried using Franklin Covey's Compact size - a bit shorter and wider than the Filofax personal, and how I would love to be able to use it and carry it everywhere - but I keep going back to the larger size page. So for now: Filofax, Domino A5 size, Daily pages (have the weekly insert for 2016, but will supplement with FC daily pages for now - I detest wasting money). What I have done is ordered a set of 2016 Month on Two Pages so that the monthly tabs will be more visible. I also have some tabs from Time System http://www.timesystem.us. Their A5 planner pages and tabs fit perfectly into a Filofax binder. I go to a number of professional and personal meetings and really appreciate having the ability to keep that information at hand. This particular model, I've only had for a few weeks, but I am really liking it. I have used Franklin Covey's Classic (similar to the A5, but a wee bit narrower) and DayTimer's Desk size for years - decades really. Both use seven evenly spaced holes rather than the three/space/three configuration with Filofax and Time System. 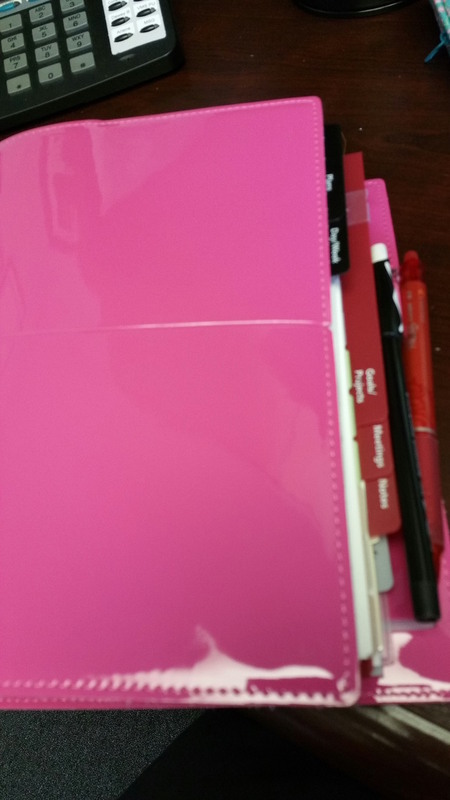 I love the pink:), I love adding visual effects that make planning fun and cause me to get started right away, providing a bit of an antidote to procrastination. I love having enough space to keep information accessible. I keep a backup calendar online; in fact I'm more or less required to do so, but there's nothing like the link my brain makes between writing things out and truly experiencing and remember them. I love that I can personalize it in so many ways. Most important for me is that I keep my professional and personal life together as one organic whole, while maintaining the appropriate boundaries and privacy that my clients have a right to expect. Yes, indeed! Some days more than others, but I use it daily. The weekly design could be improved by separating each week with note pages - to allow for weekly notes and todos and to make dividing them monthly a lot easier. 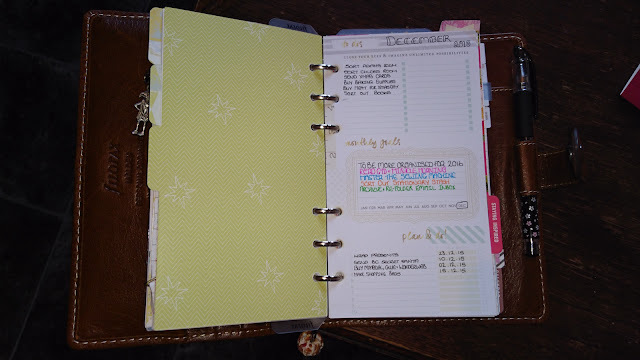 Have not started the Filofax daily inserts yet and I have had a good look at some of the other weekly models and may be giving them a try to see what works best for me. Right now I am fairly pleased with what I have. However, I know that I need to change things up every so often and I appreciate that this setup allows me to do that almost seamlessly! Don't forget today is the day you can apply to grab a place on the Van der Spek meet up. Day 12: Spine. - Olga Plans! Day 14: Love. Beloved planner and winter scarf (from Banana... - Olga Plans! Tollak elhelyezése filofaxnál - Filofax Ni! Havi összesítő naptárak filofaxba - Filofax Ni! A colleague of mine uses a Filofax as well, and was quite excited the other day about her most recent eBay purchase, a personal Springboard. I picked up the package and was horrified that I could feel the rings! It had been posted lying flat, wrapped it in brown paper and then sent it in one of those envelopes that feels like a plastic bag with no padding at all. Luckily there seemed to be no damage, but I think that the seller needs to read this post. I much prefer to send a binder in a box nowadays, and am always on the look out for suitable candidates when we receive any deliveries. Have you had any binders arrive in inadequate packaging or in a sorry state? I hope that you have a lovely weekend and as it's Friday, please feel free to discuss anything ring bound planner related in the comments. So what is this you might ask.... something new for me as well. 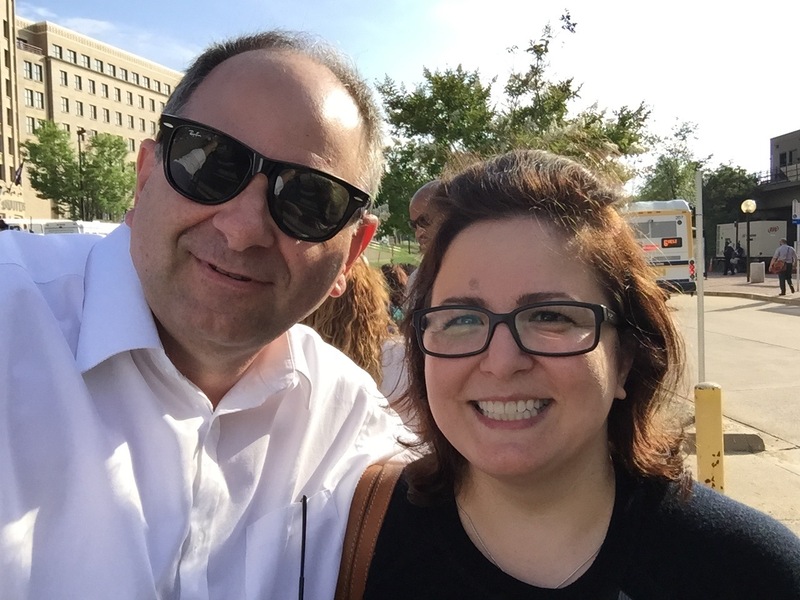 Karine (Tovmassian) and I have been planning this for some time and finally we got to record a proper episode after we had done a couple of test discussions we recorded and had technical problems with. I hope you will listen to the first episode, we know it is not 100% perfect, we still have our 'L' plates on! We have already been discussing how we can improve our techniques for Episode 2 and beyond. Given that we live over 3800 miles apart on either side of the Atlantic, it took a little bit of working out on how to get the recording to the point of being acceptable. There are some technicalities that we are still playing around with, I'm still learning how to use the software fully, but hopefully with more practice things will get better. So in future episodes we hope to discuss and chat about a lot of planner related topics both ring bound and conventional bound planners. In the future we will have a spot for listeners questions, interviews with people in the planner community and a lot of things that we hope that will be popular. We have aimed to keep each episode to around the 30 minute mark, so we don't take too much of a chunk out of your day. 27:20 - Testing the size that suits you. Hi! My name’s Lucy and I’m an American living in a small town in southern Spain and teaching English. I currently blog at www.theorganizeaholic.com and have been using a paper planner for most of my life. I discovered Philofaxy last February when I was frustrated with my current planning system and looking for solutions, and instantly became obsessed with all of the great content and endless ideas! I have been using some sort of paper planner for as long as I can remember; I remember even in fourth and fifth grade the delight I took in checking off the tasks I had completed. I bought my first Filofax in ninth grade after seeing them on display in The Container Store - my mother was surprised that I liked something so “old” so much, but agreed to buy me a blue personal-sized Identity. I used it for all of high school, and just recently unearthed it again (the rings are terribly out of alignment and the cover is falling apart, but I still use it to store inserts!). I really love all of the organizers I own, and each serves a different purpose. But if I had to choose, I would pick my personal Ochre Malden. I drooled over photos of this planner for the better part of last year, then decided to get it for myself as an early Christmas present this year when they went on sale at Colemans. Of my four personal planners, I use the Malden for my main planner - it’s with me all day every day and contains almost all of my scheduling and to-dos. The Saffiano is in the process of being converted in my blog planner. The other two personal planners hold inserts and look pretty on the shelves. The A5 is my work planner (I teach English and run a small language school) - it holds all my accounting information, important notes, and exam schedules. 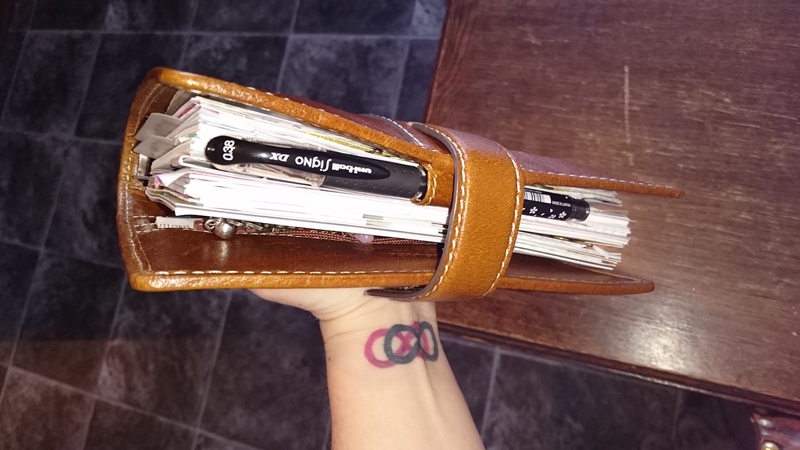 The pocket Filofax is my weekend wallet - I use it when I need to use a smaller bag and combine both wallet and planner. It only has a monthly calendar, and lots of card holders for receipts and credit cards. My Malden has four sections: calendar (monthly and weekly), lists, files and projects, and notes. In my calendar I write down all my time sensitive to-dos and appointments. In the lists section, I keep running master to-do lists and books to read, films to watch, etc. And in the files and notes sections I keep, well, files and notes. In my A5 planner, I have six sections: exam requirements and information, summer planning (summer is when I have most students and also interns to manage! ), my calendar and class schedule, exercise answer keys and grammar reference, contacts and financial information, and notes. This is a hard one! I think I would include on option for bigger rings on personal planners, and (maybe this exists, no idea!) the ability to have a pocket size planner with a zip-closure but also a full back pocket to function as a wallet. Another hard question, because there are so many things I love about ring-bound planners! 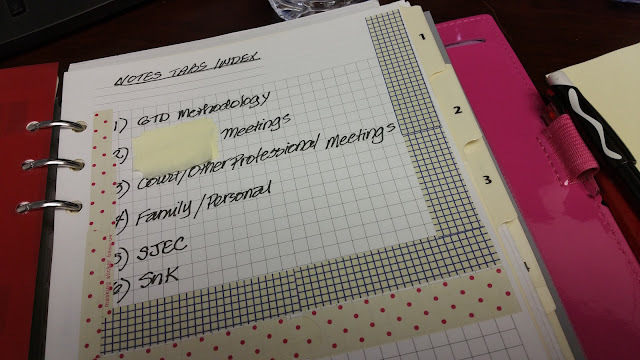 I do love the mini “jot pads” that Filofax sells with only three holes punched - they’re great for quick lists and notes that can then be put in any sized binder from pocket to A5. They’re also conveniently credit-card sized, so they’re very easy to store in any binder that has credit card slots. I haven’t, but I would love to if the opportunity presents itself! The last movie I watched was a Spanish movie, “Palmeras en la nieve” about the former Spanish colony in Equatorial Guinea. Not a movie I expected to like, but it turned out to be quite interesting! The last book I finished was “Between You and Me: Confessions of a Comma Queen” by Mary Norris, and I’m currently reading the latest Robert Galbraith book, “Career of Evil”. It isn't too late to book your place follow the links and grab a ticket whilst they are still available. It will be the first time that all of the Gillio Facebook Admins will be in the same place at the same time... yes Karine is travelling over to Europe for the meet up. We hope to 'broadcast' from the event on the day. Look out for Philofaxy on Periscope. 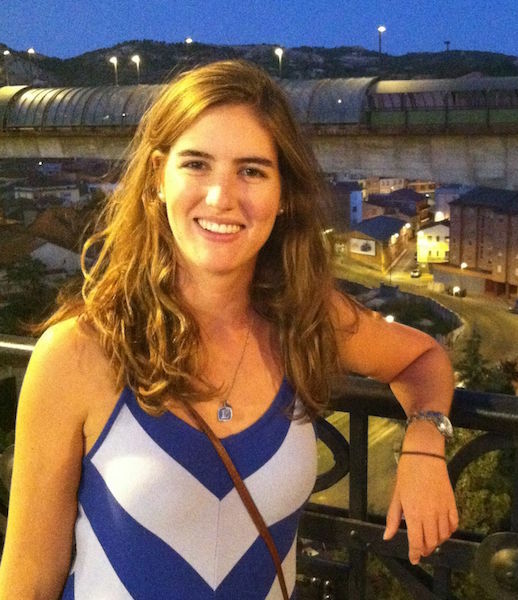 My name is Elin, I’m 33 and I live in Derbyshire in the United Kingdom. I live above the family pub (currently under renovation) with my husband and little boy where we both work teaching music. I am an organist and Director of Music in a local church and volunteer as the Area Secretary for the Derbyshire region of the Royal School of Church Music where I work to further education and opportunities in the field of sacred music. I have a degree in the Welsh language and use it to teach a surprising number of people to speak Welsh in the local area. I am also a writer and at the time of writing have just finished my fifty thousand words in another year of NaNoWriMo fun. Thinking back, I remember being totally sold on the Funfax as a child and had a binder with dozens of the books you could buy to go inside, so I suppose that’s the first. After that, when I was around 17, my mother bought me a pocket Graduate in royal blue which I used going into university. I seem to remember its fabric covers getting a little grubby though and am not sure where it’s ended up. I have toyed with the idea of using Paperchase and other high street own brands of organiser, but I really do like the quality of Filofax. I haven’t yet been tempted down the road of some of the more luxurious brands, but there’s time! I make the most use out of the black A5 Domino that my mother bought me a couple of years back and I have become oddly sentimental about it despite it being a little on the scruffy side now. I have a Personal Original in black patent, an A5 Charleston in brown and an A5 Malden in ochre. I also have an old personal knocking about that mum bought off eBay and didn’t like. I have yet to make use of it, but can really see the strength in the rings there and understand people’s dismay about the deterioration in quality and structure of binders over the years. The one Mum bought off eBay which looks 1980s to me but it is sadly unloved at this stage. I use them for keeping my teaching schedule in order and rely on them when it comes to busy periods in the church calendar when I have many services to play or conduct for. I also use them to keep lists of sheet music I need to purchase or which I’ve lent out to people. I keep records of pupils’ exam entries and payments and keep my financial records in there too. I plan things like Christmas gifts, food shopping, cooking, travel and lots of other things. What I don’t do is much creative work in my planners. I tend to do much of that in Moleskine notebooks, long hand, which I find easier than having rings in the way. 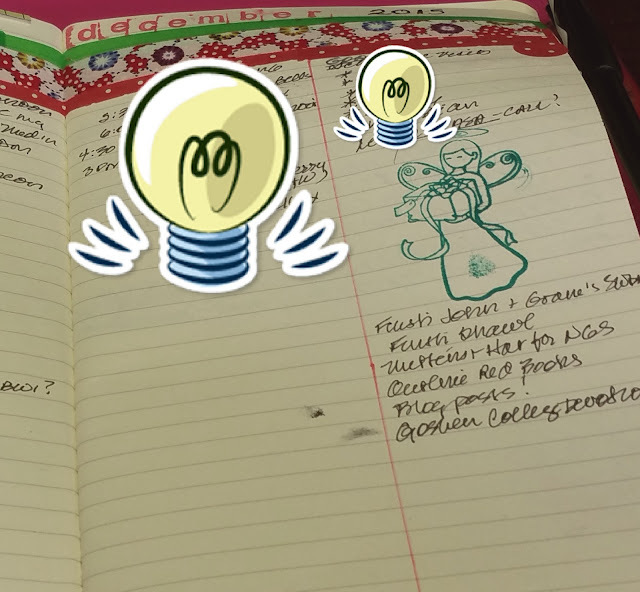 I also use Evernote to keep track of my writing and to take minutes at meetings, though I also use my Filofax when we’re having discussions about up-coming events to jot down ideas. I’m hoping one day I’ll be able to come up with a way to integrate Evernote and Filofax but I’m not actually all that organised and any system that requires too much effort would quickly fall apart for me. I’m experimenting with including some manuscript paper in there too because I’m always scratching about for it during lessons. The main section in my Domino is the vertical week to view diary with times which I use daily to keep record of pupil’s appointments, attendance and payments. I also use that to track my personal appointments, payments and deliveries, my son’s timetable and any meetings or travel. I have an addresses and contacts section, where as well as an A-Z I also have contact lists of the people in classes and committees. I have a financial section where I keep track of my income through teaching and performing which I rely on to make tax returns very straightforward each year. I have several non-specific note sections where I keep information about pupils or projects. I am hoping to make these a little more focused this year and now that NaNo is over, might set about that as something of a December project. It’s becoming quite clear that I’m better working with one planner. Despite having three beautiful leather ones, I’ve yet to make proper use of them. I filled one last year with the Church Book and Desk Diary which is a day to page diary published with detailed information about the church year but found that I didn’t use it as much as I’d hoped. I just love all sorts of stationery and I found the tactile nature of the product as much of a draw as any organisational qualities that it had. You know, I know they’re not particularly popular, but I really like the elastic closure on the Domino. I also like the notebook/pen straps by Papelote which you can buy at Bureau Direct so something like that built into a Filofax would please me greatly. I would also love it if Filofax created more and better stickers to go with their range of papers. I’m a huge hoarder of stickers and post it notes but have been disappointed by Filofax’s offerings. I tend to keep my A5 folders at home, but if I do take it somewhere I always have a handbag that’s large enough for several paperback books, some notebooks and a good handful of pens so it’d go in there. I don’t feel drawn to buy new Filofaxes in the way I have been in the past because when I finally splashed out on the Malden some months ago, I found out that I wasn’t really using it and so felt a bit disappointed. That may change if I can tear myself away from my beloved Domino. I always have a good look when I see Filofaxes in shops and I would quite like an A5 Original in monochrome. A5 will always be my planner size I think and so those will always tempt me. You know, I can’t actually remember, but I don’t think it was more than about £50 – I got a really good deal on the Malden. I wouldn’t go much higher than that. It’d have to be pretty magnificent for me to spend more, I think. I’m not sure I have one, but I am always watching Filofax videos on YouTube and am impressed seeing people’s amazing creativity. Oh, no, I know! Whenever I buy a new diary for the year, I store the last year’s pages in the cellophane wrapper and keep it in a drawer. I’m required to keep my diaries as I’m self-employed and find this is a tidy way to do it. It satisfies the geek in me. I love reading about the details of different planners, seeing people’s ideas and collections and rejoicing in the fact that technology hasn’t quite yet overtaken the pen in all things. Oh I don’t think there’s anything I don’t like! Only perhaps the slightly enabling qualities it has in terms of shopping sometimes! A friend recently shared with me a few tracks from Show of Hands new album after he went to see them in concert. They sound amazing and I’ll make sure to get the whole record when it comes out. Not managed it yet, but London is very quick from Derbyshire these days so perhaps next year? Oh dear! Here I confess to rather enjoying the terrible Christmas movies that Channel 5 show every day leading up to Christmas. They all blur into one fabulously saccharine Santa fest so goodness knows what it was called. Something like… The Christmas Bride! Or Snow In Love at Christmas! I think I should write a script for one next year. A busy working Mom looks at the Filofaxes in a department store and thinks that if she were just able to plan it a little better she’d be able to Have It All in time for Christmas. Unfortunately her husband has gone off with the nanny and her teenaged son is having a Crisis involving skateboards, cheerleading and the Bad Boy at school. She’ll pull it all together with the help of a heart-warming if cantankerous down and out who shows her the True Meaning of Christmas in a soup kitchen Nativity play where the Angel Gabriel is played by a drunk woman called Annie and the Teenaged Boy and redeemed cheerleading girlfriend play Mary and Joseph. Currently reading Alan Bennett The Uncommon Reader. Last one was Julian of Norwich, Revelations of Divine Love which is the writings of a Christian mystic who lived in Norfolk in the fourteenth century.